nitroglycerin and gives a live experience out of the ordinary! 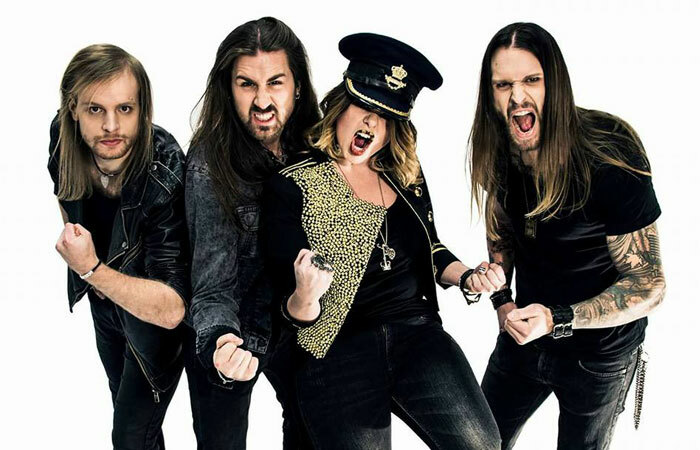 competition “Sweden's Rock Voice 2016” with over 1000 competitors. Festival and Malmöfestivalen. To mention some points of the band's career so far! Several shows are already booked for 2019 and more will be announced during the year. Finally, Frontback fans around the world can rejoice in the fact that a third full length album is planned for 2019! With awesome guitar riffs, stylish poses and a fighting spirit the band takes their energetic live show, with both new and earlier song material, to the rock scene! Welcome to join the Frontback family!